Just a quick note for all the Skype for iPhone users out there. 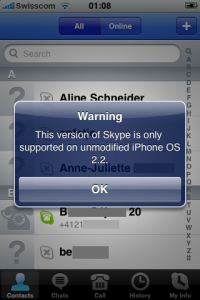 Skype for the iPhone has recently been updated to 1.0.2 and it includes a pop up warning users about running the app on modified iPhones. Ever since the popular VoIP app was released for the iPhone, we’ve been able to download Skype in Canada by creating a free US iTunes account. Also we’ve covered how to use Skype over 3G and make unlimited calls to Canada/USA for $2.95US/month! 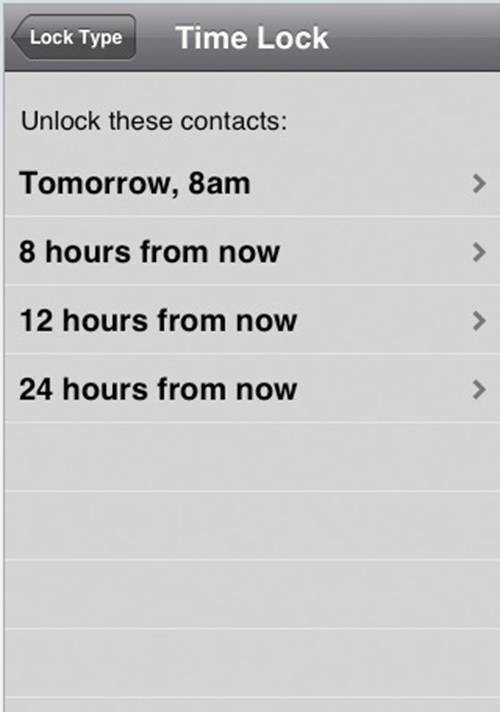 – Fixed a problem, which caused the application to crash, when tapping a contact image (avatar) within a chat. Does this Update Affect Jailbroken iPhones? The user installed the new update on his 2G iPhone and Skype still worked perfectly. I’d like to see how this new version is working on iPhone 3Gs running 2.2.1. From the sounds of it, either Skype is trying to scare jailbroken users to avoid the update because it knows people are circumventing the “WiFi only” aspect of the app. The first time I installed Skype on my iPhone, I ran into a problem with MobileSubstrate which caused the Skype app to crash upon start up. That problem has now been solved and Skype is working perfectly for me. 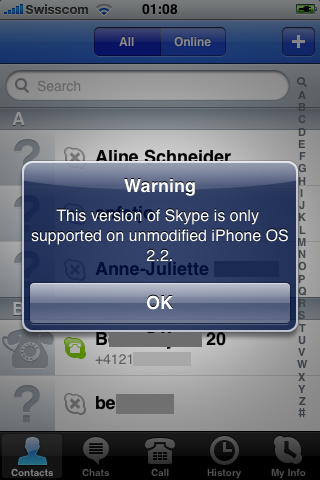 Users who have installed the Skype update on iPhone OS Beta 3 have discovered they are now limited to WiFi only (according to MacRumors forums). No more 3G calls! Aside from that, I’ve also read some conflicting reports about whether or not 3G calls will work after the update.